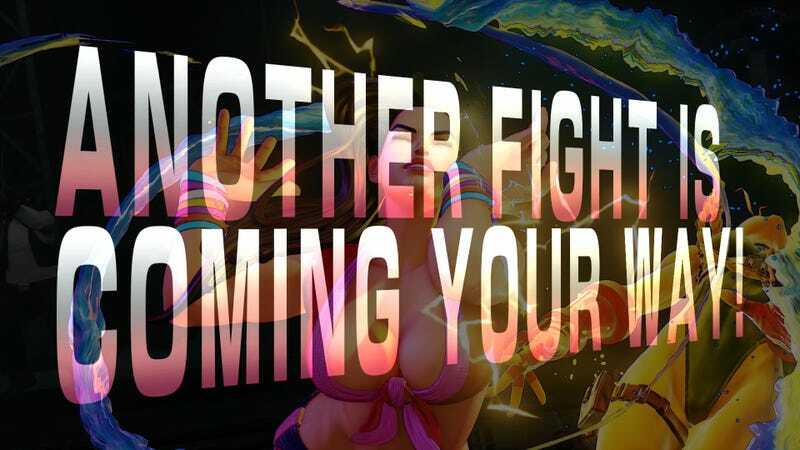 It’s December 18, and Capcom has graced with an early Christmas gift, in the form of the 3rd Street Fighter V beta test. The game, due out Feb. 16th, will be available for both the PS4 and PC. I hopped on immediately once it began and for a good 5-6 hours enjoyed the gameplay. I’m a bit of a veteran of the previous entry, having played Street Fighter 4, and its Super, AE and Ultra additions for sometime. Street Fighter 5 folows the same basic structure of the SF4, but with the addition of the V-Skill meter. Each character has a unique V-Skill and in the case of Laura, her specials are given more hit stun and hard knockdowns. The activation of the V-Skill mode also acts like a focus cancel from SF4. It allows for some pretty nice combos. EX moves are back and are the exact same, ultra combos have been removed and supers have been renamed critical arts. Let’s start off with the tutorial that begins when you first boot the beta up. It started with a simple bout between Ryu and Ken as you go through the basics, specials, v-skills and critical arts. Once the tutorial is complete, you are given access to the main menu with gives the options of ranked match, casual match and training mode. I started out with training mode to get a feel for the game. I started with Laura because she seemed the most unique of those available. My preferred character to try, Rashid, was not available. Like other taining modes, you get to pick your punching bag. The training mode gives you the basic variety of options to play with. In the hackground, the online fight request system is at work to get you paired up against someone. What I didn’t realize at first was that when you get picked for a match, there is no character select screen. You are given a default character that is set within your “fighter profile”. In this case, everyone is started off with Ryu selected as your default choice. Once the confusion subsided, I fixed my profile, set Laura up, and began my training anew with the odd match tossed in. I played a good 35-40 matches. A lot of Ryu’s, and splashes of the other 5 characters. From what I experienced, the net code is pretty good. I had little issues and only had 1 or 2 horribly laggy matches. Here’s a few of my matches I was able to record with the PS4. I’m TheDuke. I also had some games against the PC players. The cross-play works fantastic. I never had no issues. I wouldn’t mind giving the PC version a go, it would be nice to compare the two versions. The PC version also has the advantage of being able to use a fight sticks from the previous generation. Capcom has yet to integrate the Lab Zero stick driver (allows the use of PS3 sticks) so I was reduced to using the Dualshock 4. The game also keeps track of all your stats. This allows you to try and get rid of your bad habits, like using too many basic throws, or the amount of anti airs taken. It also offers this fancy chart that helps you track the use of skill/power and respect. I guess the respect aspect will become more prevalent once the game is released. The logistics is a nice little addition. I have high hopes for this game. Street Fighter 4 has become quite stale and the Tekken 7 (AKUMA!) console release is soo far-away. This game will sate my fighting urge for months. The beta will have to tide me over until then. As a little something special, I have 3 beta codes for the PS4 beta for anyone who wants them. If you want them, msg me on PSN: Marksman2200. First come first serve!